Goal-oriented team worker with good communication skills. Fluent in English, both written and spoken. 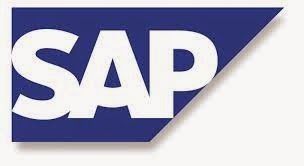 Established in 1996, SAP India is a wholly owned subsidiary of SAP AG. SAP is a recognized leader in providing collaborative e-business solutions for all types of industries, for every market, around the world. SAP India is a part of SAP Asia Pacific and is responsible for the sales of SAP solutions, implementation, post-implementation support, and training and certification of customers and partners. SAP India's mission is to enable companies to access the global market by offering them a wide rage of Web-enabled solutions. For more than five years, SAP India has been delivering solutions to hundreds of successful companies.